[wp_ad_camp_5]And you know, they have a point! What happens in situations when training treats don’t work? What do you do when your dog is chasing a rabbit through the grass or pursuing a seagull across the beach? How much use is waving your piece of roast chicken around going to be then? What I want to do in this article is answer your concerns about the use of treats in dog training, and explain exactly what you will need to do, in situations where food does not appear to work. We’ll go into that below. 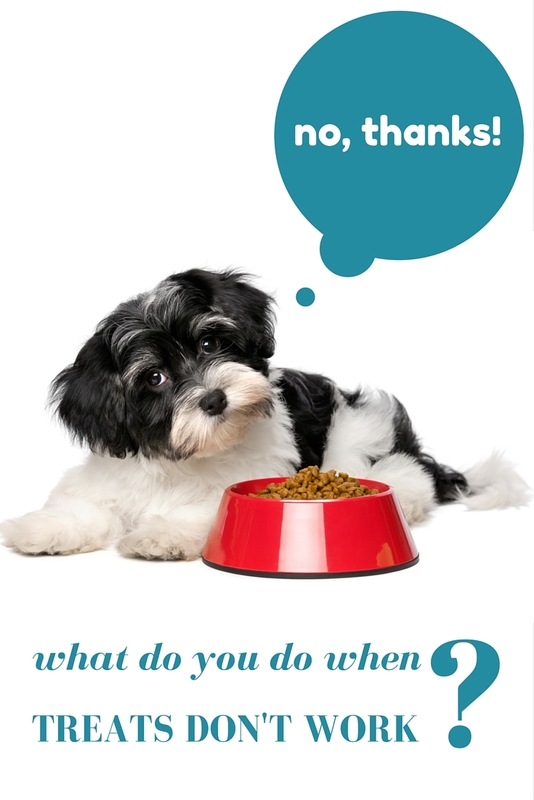 There is a huge amount of confusion over the use of food in dog training. And a common assumption that ‘positive training’ is permissive training. Positive trainers are often seen as bunny-hugging softies that are afraid to say ‘no’ and discipline their dogs. And there is a general assumption that dogs raised in this way are likely to be spoiled and badly behaved. I think that these assumptions are entirely understandable. They are also flawed and if you’ll bear with me, I will explain why. Many of the discussions that I see taking place around this topic are filled with people talking at cross purposes. Simply because there is no consensus as to what is meant by the terms being bandied about. In addition, many such conversations are full of misinformation because people are not presenting evidence and discussing it. They are simply passing on opinions, either their own, or other people’s. This makes it impossible to come to any kind of sensible conclusion. In order to discuss the pros and cons of any method, or technique, it is important that we first agree on what defines that method. And it is crucial, that we talk about the evidence that supports the arguments for and against the techniques we are discussing. What is positive training and why does it involve food? Positive is a word that is strongly associated with ‘good’ and ‘happy’. We talk about ‘feeling positive today’. [wp_ad_camp_2]When we talk about positive dog training we are using the word in a different sense. The terms positive and negative in dog training are taken from behavioural science and they are mathematical in origin. So positive means adding something, and negative means taking something away. When people talk about positive dog training, or specifically positive-only dog training, they think of trainers that use a lot of food, and no corrections. And they are right. But this is not because we want to make our dogs happy – though of course we do! It is because positive reinforcement changes behavior by adding something nice (often food, or opportunities to engage in fun activities) as a consequence to desirable behaviours. Don’t let the dog get away with that! When people talk about positive dog training they also often assume that because there are no corrections, the dogs are allowed to ‘get away with murder’. And in this, they are wrong. Positive-reinforcement training does avoid using corrections. But it absolutely does not allow the dog to misbehave. And at the same time, he would be trained to respond to a variety of increasingly challenging commands, or cues as we now call them, first at a great distance from the distracting football game, and then increasingly close to it. Improving his performance incrementally and in easy stages. 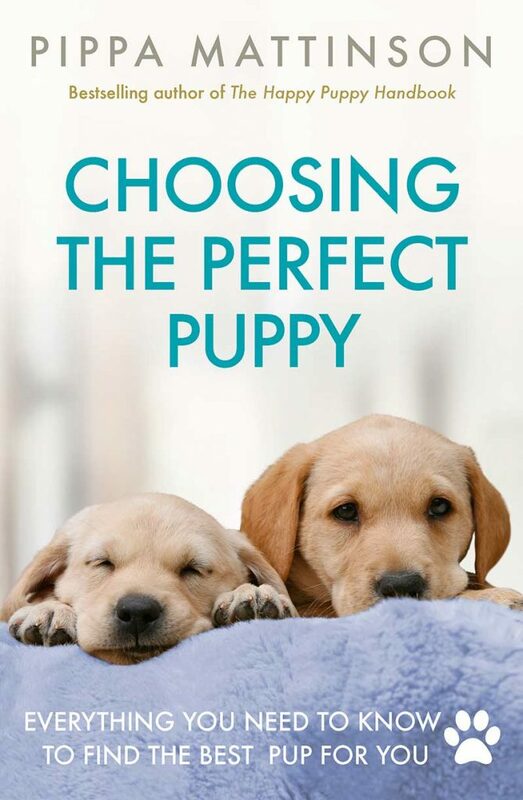 What about positive-only, or force free puppy training? The term positive-only is a bit of misnomer as most positive reinforcement trainers also use ‘negative punishment’ – this simply means taking away something that the dog likes. But the principle is clear – the positive puppy is being trained without the use of aversives. And this is the theme that runs through all these different terms – whether we say ‘positive’ , ‘positive-only’, or ‘force-free’, we are talking about training without aversives. In other words we are training without hurting, forcing, intimidating or scaring the dog. But does aversive free dog training work? You will read countless people telling you that control over high drive and distractible dogs, cannot be achieved without using aversives. This is essentially untrue, though of course, you could argue that safety restraints such as a harness and leash are aversive. I think the principle of positive reinforcement training is clear though, and such arguments are not really helpful. Fortunately, there is now ample evidence to prove that aversive free training is effective. There are hundreds of trainers out there, quietly and competently training this way, all around the country. 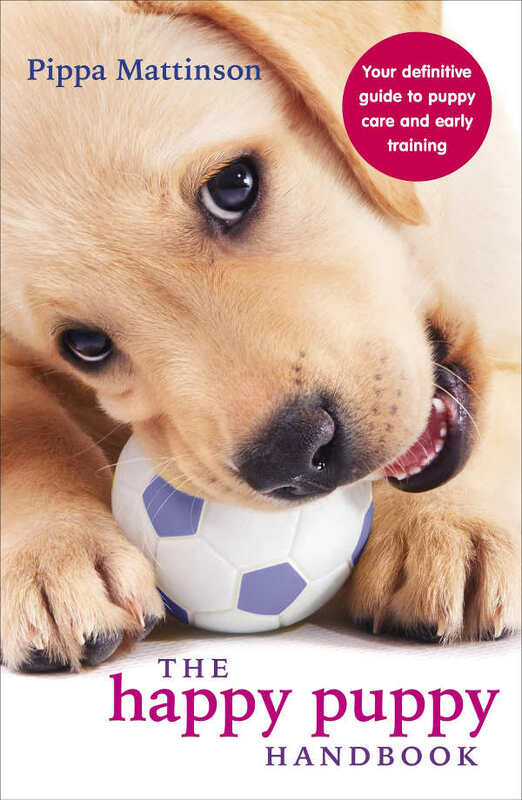 There is also now plenty of evidence in support of positive reinforcement training, including evidence that positive reinforcement trained dogs are more obedient, not less, than dogs trained with the use of punishment. But what happens when food doesn’t work? OK, so now back to the title of this piece – what happens when food lets you down, when this method fails. When your dog bolts after a rabbit, or cannot be called away from another dog because he is enjoying his game. You offer him food, and still he ignores you. What now? This is something I get asked a lot, so this is a great opportunity for me to explain. What is happening in this situation, is that food is being used as a management tool, and not as a training aid. The dog’s owner is trying to use food as a bribe or lure, to draw the dog away from an activity that he is thoroughly enjoying. If a dog is ‘caught up in the moment’ and enjoying himself, dog owners often resort to managing the dog’s behaviour. As you have probably discovered these types of ‘crisis management’ strategies do not usually work. 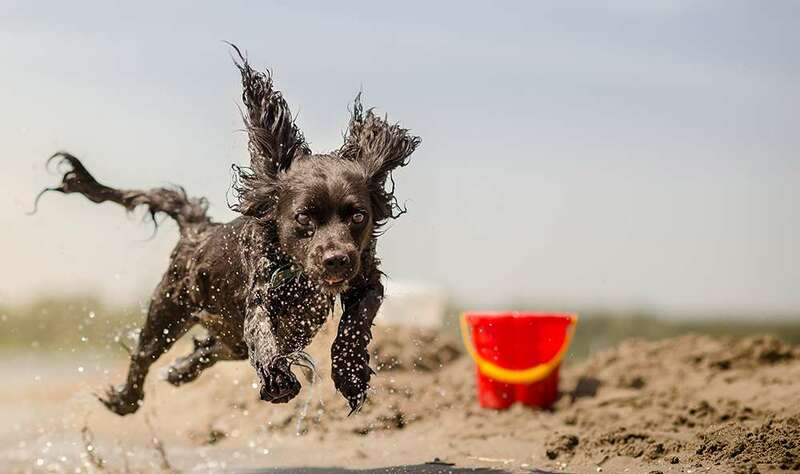 The reason that food is a terrible management tool is that it is not nearly as exciting for a well-cared for dog, as opportunities to run, chase, and play. Obviously a starving dog might respond to your sardine, but you don’t want to starve your dog in order to manage his behavior. And even if food was a great management tool (which it isn’t) management is not a good substitute for training. The reason the that dog owner is attempting to manage the dog’s behaviour with food or punishment is because training has broken down, not because food or punishment doesn’t get dogs trained. Both are effective ways of getting a trained response from a dog, if applied consistently and in an appropriate structured way. We’ll look at that a bit more in a moment. Why does dog training break down? If your dog is playing with another dog and you cannot recall him, your recall command has broken down. It is not the use of food that has failed, but the training process itself. And this happens with punishment based training too. Each new skill we teach a puppy has to be proofed. Just because your dog will sit when you say ‘sit’ in your kitchen does not mean he is capable of sitting on command, when you take him to watch your son play football on a Saturday morning. Every skill we teach a dog is subject to distractions in the real world, and your dog has to learn how to ignore these. He needs to do this in incremental steps. Training is an ongoing commitment. If you don’t continue to exert some control over the consequences of your dog’s behaviour, his obedience will become unreliable. That applies to both behaviours trained with food, and behaviours trained with punishment. How can we avoid training breaking down? 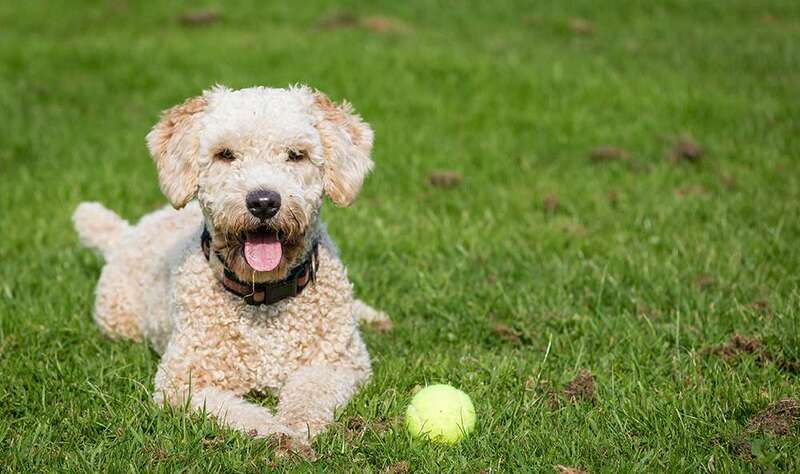 The best way to avoid your training efforts unravelling, is to teach your dog in easy stages, so that he can keep getting it right and keep getting rewarded for being a good dog. Food can used to create a response to a cue. As can other types of reinforcement. We begin in a place with no distractions, your kitchen for example, and then teach him to replicate that behaviour in increasingly challenging locations. To make sure he is not rewarded for being naughty, we prevent him having access to the rewards he might be tempted to chose for himself (pursuing butterflies, or chasing his tail) We often use a long line for this, temporarily, until the dog has learned to focus on his handler in all kinds of different situations. When we take the dog into a more demanding location, we also ask him to perform less demanding behaviors at first. If you are standing in a busy street, with lots of people passing by, you might begin with asking for a simple ‘hand touch’ for example, rather than a complex obedience routine. Behaviors need to be maintained in the long term by the applications of controlled consequences. If you simply stop rewarding the recall, your dog will gradually lose his reliable recall. Rewards can be faded to some extent, but never eliminated entirely. What about correcting bad behavior? At this point, I think it is time for another definition. Because many people get very cross when we refer to corrections as punishment. But in behavioral terms, anything which diminishes behavior, is a punishment. It is not intended to be an emotionally loaded term. Punishment simply means a consequence that reduces the likelihood of the preceding behaviour being repeated in the future. So when I talk about punishment, I am not talking about beating your dog, or terrifying him. I am not talking about abuse, I am simply referring to the application of an aversive – an outcome that your dog finds unpleasant, no matter how mild it may be. That being the case, why on earth can’t we use corrections/mild punishment in dog training? Every dog needs to know his place, right? You’ll notice above that I said training with punishment works. Many positive reinforcement trainers skip around this bit. But it is true, you can teach a dog to sit for example by telling him to sit and then forcing him into a sit, or slapping him rear end if he does not do so. There is no point denying this, because people have been doing it successfully for years. So why change now? Why bother avoiding aversives like slaps, shouting, intimidation, pushing, pulling etc. Does it matter if some people want to use force in training? Let me give you an example. If you force a dog into a sit position his natural response is to push against the force of your hand. You will often be able to feel this. You push down on the dog’s rump, and the dog pushes back up. Of course, you’ll win eventually, because you are stronger and more determined. Another example I have seen recently is a traditional trainer trying to get a puppy onto a place board by dragging him onto it with the lead. The puppy automatically pulls back away from the new object. At the exact time you say ‘sit’ your dog is using his muscles to reverse a sit. The word ‘place’ is being said at the exact moment that the puppy is trying to avoid the ‘place’. Confusing eh? 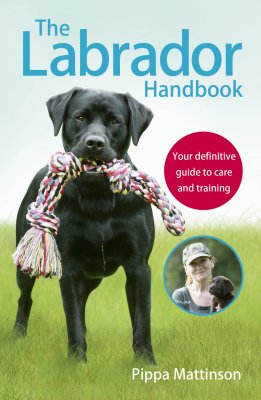 With a lured ‘sit’ or a clicker trained ‘place’, the dog is reinforced for using his muscles correctly, and this makes the learning process a lot quicker. When you train in a more demanding environment, you need stronger consequences to get the required response. If you use punishment or force in early training, you’ll need even more punishment or force when proofing against distractions. It is not uncommon for what started out as mild punishment to escalate until the trainer is actually harming the dog. If you train with food, all you will need is a higher value food, until proofing is well established. Better food, versus more punishment. Hmm. Which is more fun for you and your dog? In addition, dogs often become resistant to punishment so that you need to use greater and greater force to get the same effect. When we tell a dog to sit there are many ways for him to disobey. He could lie down, he could wander off, he could stand up. If you are going to use corrections, you are going to be busy training him not to do all those things. Usually, there is only one way to get it right. And that is to sit. It makes a lot more sense to teach the dog the right response for a given situation, than to punish all the wrong ones. The evidence from recent studies shows that dogs trained without aversives are less aggressive than dogs trained with them. This shouldn’t really come as a shock should it? We know that bullies were often bullied themselves, so finding this characteristic in a species has lived in human homes for 20,000 years or more, is not really a surprise. It is interesting to note that animals trained without aversives are also more obedient. And again, we know in people that fear inhibits learning, so perhaps this is not so surprising. Food is not a good management tool. But it is a fantastic training tool. 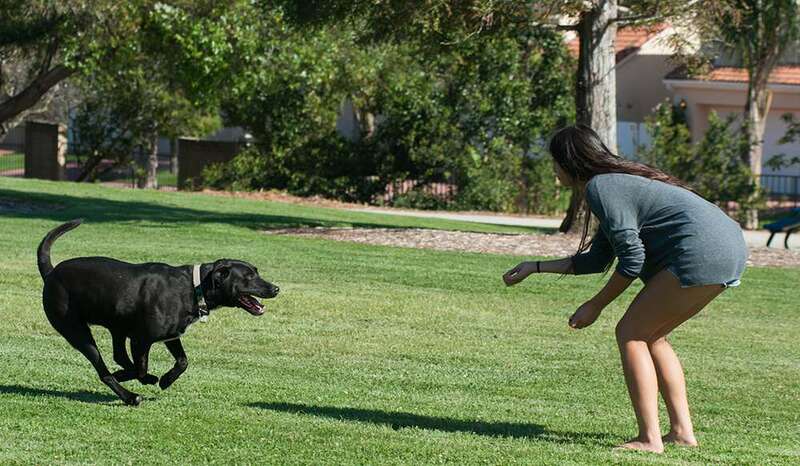 Positive reinforcement trainers don’t use food to manage their dogs. They don’t try and bribe their dogs away from distractions. They use food to create reliable trained responses. There are benefits to training without any aversives at all, and many dog owners are discovering these right now. Check out the evidence in the link above. 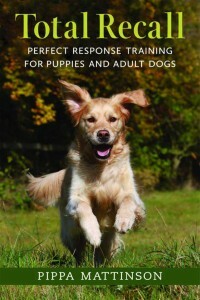 Positive-reinforcement trained dogs are less aggressive and more obedient. We know this. And if that isn’t enough for you, they learn faster, are happier, and so are their owners. Let’s face it, we none of us want to punish our dogs. They are our friends. Punishing dogs is unpleasant, disheartening, stressful and habit forming. 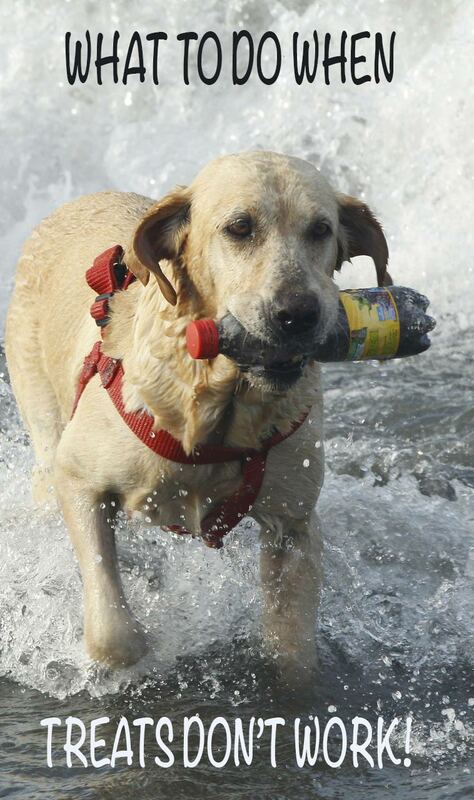 And the great news is, you DON’T have to do it in order to have a well-trained and highly obedient dog. People who use punishment are not cruel or unkind, they are doing what they think is the best for their dogs. They usually genuinely believe that positively trained dogs are naughtier, and that by correcting their dogs they are behaving responsibly and helping them to be better canine citizens. [wp_ad_camp_1]Many times, when people are denying the efficacy of positive reinforcement training, they are simply unaware of the facts. They are not expecting a logical reply or evidence. They believe that people are using food as a management tool, and that the value of food as an effective training tool is strictly limited. They often believe that people who reject the use of punishment in training have disobedient dogs or are incapable of training dogs to be obedient in challenging situation. That questions like the one asked in this title are still being asked, shows how little some dog owners understand about training with food. They are opportunities to spread the word about positive reinforcement training. So next time you come across this kind of discussion, if you can’t face explaining all over again, drop a link to this page, and suggest they come and take a look at the evidence for themselves. Positive reinforcement training is evolving and developing. It’s exciting, we are pushing at the boundaries of what can be achieved and it’s happening all around us right now. This is the future of dog training. Those that don’t educate themselves and jump on board, are missing the boat. You don’t have to be one of them! Have you tried positive reinforcement training yet? Share your experiences and thoughts in the comments box below. This is the single best dog training article for my situation that I have found. I’m training a tiny Yorkie puppy who has NO interest in food rewards (and I’ve tried everything). Understanding that positive reinforcement training is still possible without food rewards is encouraging me to work harder on rewards she does like such as toys and praise. As I continue with her training, I’ll be more focused on looking for other ways to provide effective positive reinforcement during her training sessions. Thanks! We ave tried all of the above suggestions and more with our 2 year old Newfoundland who runs to other people or dogs when we are out. Very social but terrifying for other people. Have to keep her on a halti although she has been known to drag us with her. she is very strong willed. We have tried lots of trainers and are now at a loss of what to do next. So helpfu! I hired a very reputable dog trainer to help me with my Husky. She told me to spray her w water when she got mouthy. This only made my dog growl and become aggressive (not her nature at all). I realized I was damaging our bond. I started putting essential oils on my hand and she quickly makes the choice on her own to chew on her toys not my arms. I take her on walks every night and to the park. Our bond is so strong now. I realized I was totally using food as a lure. When we pass a house with aggressive dogs, she freezes. Or tries to pull away trying to get out of her harness. Stressful and unsafe for us both. I will amp up the clicker training which she loves to include more distractions. So helpful to understand what needed to be changed!! When my dog (gsd mix) won’t recall and is playing with another dog or off sniffing something and there’s no danger to her remaining off leash, I simply turn around and walk away. When I get far enough from her (and she realizes I’ve left her) she quickly drops everything and runs after me. She gets praised for coming back even though I had to coerce it by leaving. Her emergency recall usually works when she’s chasing a rabbit or bird, and if not, when she’s gone far away enough and realizes I’m too far away she leaves it and returns. She’ll never go more than about 50 – 100 m from me no matter how distracted (depending on line of sight / cover). And usually when we’re walking she’s within 10 – 20 m of me. Very different to my border collie who was happy to run off 500 m or more (though he always returned). I’m training my field bred lab using positive only methods and it’s working! She’s 18 mths and she’s so happy, confident, sticks to me like glue and a joy to take anywhere! Hope to pick up this season which will be a first for both of us…..
Our two dogs are quite different when it comes to rewards. Sanne is very food driven and expects a treat, especially if it’s close to meal time.